Why check DA of your website or other's website? How can I bulk check DA of other websites/Domains? then let me just explain it to you briefly. Why to check DA of your website? Why to check DA of others? To build contextual or quality backlinks one of the prominent ways is by guest posting or commenting, but if you comment or guest post on a website which have low DA than yours then you will suffer the consequences. Spam score and more info. 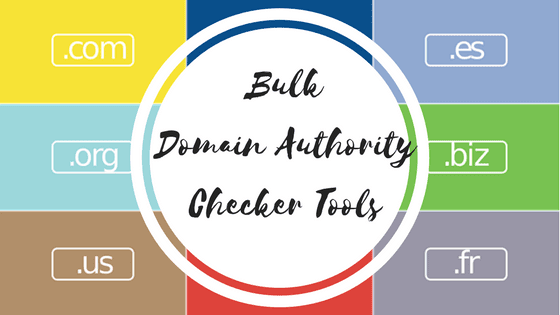 Hope you like this list on " Bulk domain authority checker tools", for any query or suggestion comment down below or contact us.